Florham Park, N.J., Nov. 14, 2017 – The automotive landscape is more connected and advanced than ever before. Surprisingly, the industry that regulates where these vehicles park has remained mostly unchanged and now runs the risk of falling behind the inevitable connected and driverless world. 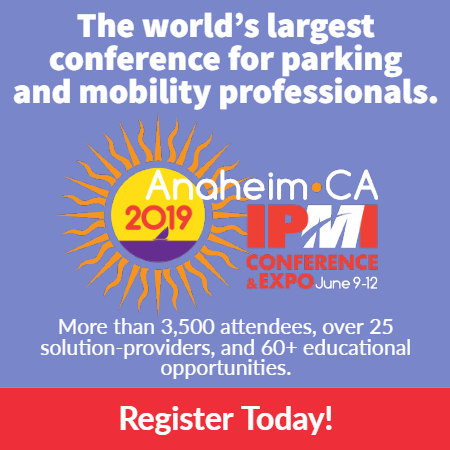 Conduent Incorporated, (NYSE: CNDT) the world’s largest provider of diversified business services, will showcase a suite of parking solutions designed to help cities better manage the influx of new mobility at the 2017 California Public Parking Association (CPPA) Conference and Trade Show in Monterey, Calif. The conference is scheduled to take place from November 15 – 17, 2017.
eTIMS®: This fully integrated, web-based violations processing system supports all aspects of the parking ticket lifecycle – from database management and delinquent collections to legal notices, credit bureau reporting, and tax refund withholding. MERGE®: This technology is a city-wide smart parking solution that is working to change the amount of congestion caused by people who cruise around looking for parking spaces. First deployed in downtown Los Angeles as part of the LA Express Park project in June 2012, Merge® is a smart grid for parking, enabling guided parking, predictive enforcement, meter and pay-by-cell management, and demand-based pricing – all layered with analytics to increase parking program efficiencies and reduce traffic congestion. LA Express Park was able to decrease parking congestion by 10 percent and decrease rates by 11 percent, while increasing revenue by 2 percent, in the pilot area. CitySight®: Conduent’s cloud-enabled performance management system enables increased Parking Enforcement Officer efficiency and real-time operational data to help parking enforcement supervisors better manage workloads, make smart dispatching decisions and create high-performance teams of parking enforcement officers. GoLA App: An intuitive mobile app that helps Los Angeles public transit users take advantage of multimodal transportation by comparing trips based on factors such as speed, cost, sustainability, or the healthiest combination. Multipark: A scalable parking system that provides complete operational and management control of the car park equipment, for single or multiple sites.